There have been bees living in the wall of the sound booth at the church. They have been there for some time now, and this is the 'fruit' of the hive. 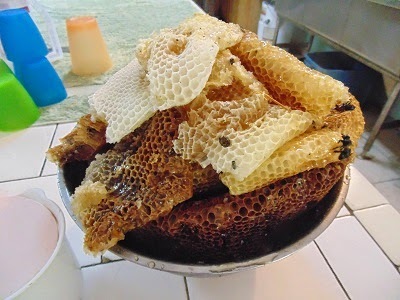 Now this is FRESH honey!